If you have a sweet tooth, then this cocktail created by Francisco De Los Santos for Sol & Sombra Bar at Hilton Santo Domingo is perfect for you. It’s also green as hell, so don’t be surprised when you take a leak later on in the evening. 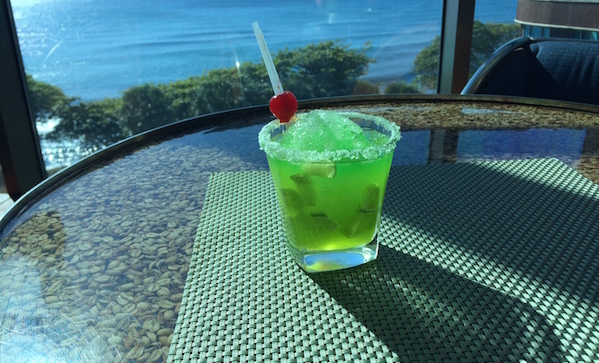 Muddle the key lime half with the simple syrup and dash of crème de menthe in the bottom of a rocks glass. Add ice ball. Add key lime juice, rum, and Midori. Top with slash of sprite.